Over the past four decades, the prevalence of asthma has markedly increased in Westernized countries and countries transitioning to this lifestyle. It has been hypothesized that these increases are a consequence of changing environmental and/or behavioral factors. The modification of dietary habits (ie, decreased intake of fruits/vegetables and increased intake of “Westernized” processed foods) and a decrease in sun exposure have led to decreased intake of antioxidant vitamins and fatty acids and to decreased circulating levels of vitamin D, and have been proposed to explain the rise in asthma prevalence. 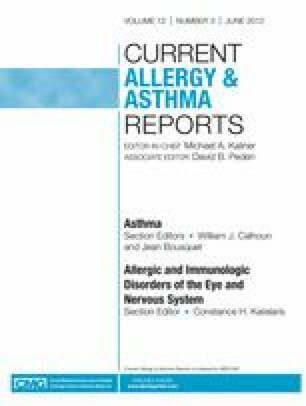 This article summarizes the main findings on foods and nutrients connected to asthma based on several exhaustive recent reviews on the topic, and examines the evidence for an effect of dietary patterns on asthma. Overall, findings underscore the importance of conducting prospective studies and clinical trials to better understand the role of diet in the etiology of asthma. The author wishes to thank Francine Kauffmann for thoughtful comments.